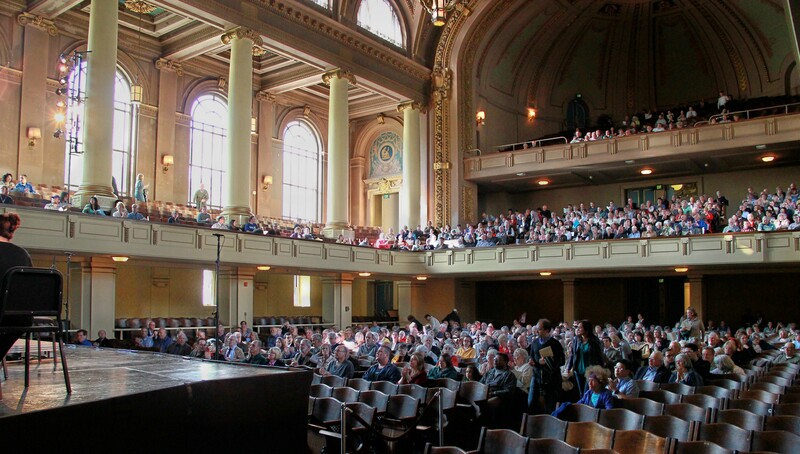 The Institute sponsors eight choral ensembles at Yale University. Auditions for Camerata, Schola Cantorum, Repertory Chorus, and Recital Chorus are held annually just before the start of the academic year. For audition information, email choral.auditions@yale.edu or call 203-432-9671. For the choirs of Battell Chapel, Marquand Chapel, Berkeley Chapel, and the Marquand Gospel Choir & Inspirational Ensemble, contact Director of Chapel Music Nat Gumbs. Founded by its conductor, Marguerite L. Brooks, in 1985, the Yale Camerata is a vocal ensemble whose more than sixty singers are Yale graduate and undergraduate students, faculty, staff, and experienced singers from the New Haven community. Yale Schola Cantorum, founded in 2003 by Simon Carrington, is a chamber choir that sings in concerts and choral services. Its principal conductor is David Hill, and Masaaki Suzuki is principal guest conductor. 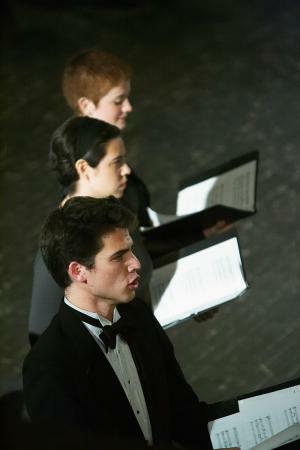 Battell Chapel Choir, a part of the University Church in Yale, is conducted by graduate choral conducting students and open to all Yale students. The choir sings for ecumenical worship services on Sundays during the academic year and offers two or three additional concerts. Members are chosen by audition and paid for singing in the choir. Berkeley Chapel Choir, conducted by Institute students (either divinity or music), is a volunteer ensemble that sings during the academic year for weekly Berkeley Divinity School Eucharist in Marquand Chapel. Repertoire varies, but focuses primarily on the Anglican choral tradition. Section leaders receive remuneration for their participation. The choir, conducted by graduate choral conducting students, sings for ecumenical worship services in the Divinity School Chapel, as well as for special services during the academic year. The choir is open to all Yale students and welcomes singers of varying experience. Singers may receive credit for participation; section leaders may elect to receive either credit or remuneration. The Marquand Gospel and Inspirational Ensemble, conducted by Mark Miller, is open to all Yale students. The group sings for services in Marquand Chapel twice a month as well as for special services during the academic year. Repertoire comes mainly from the African American sacred tradition, often featuring the compositions of the ensemble’s director. Joyful singing, creating community, celebrating diversity, and having fun are the spiritual principles of the ensemble. Section leaders are paid for singing in the choir. Repertory Chorus and Recital Chorus, conducted by graduate choral conducting majors, give up to six performances per year. Members are chosen by audition and perform an eclectic repertoire in many styles, both sacred and secular. Singers may elect to receive either credit or remuneration for their participation.